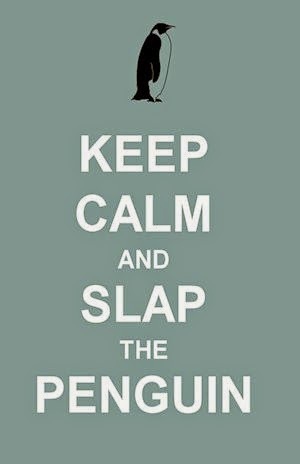 The following quotes are from BL's email to Slap The Penguin. 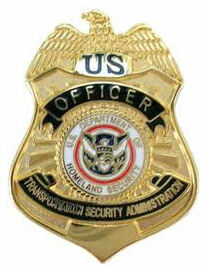 "Sir, I was directed by a good friend to your story about the TSA and I must protest at the one sided story that the media is portraying about the job we, as frontline TSA officers, are performing." "We are entrusted with the responsibility of keeping airports and airplanes safe for the public and have been given a directive to perform these pat down searches when applicable. I personally don't enjoy frisking 1200 people per day, especially when I constantly have to come into close contact with sensitive areas of the passengers anatomy." "I do my job without complaining about belligerent and offensive travellers. Some of the people I have to pat down are sweaty and stinky and occasionally it makes my stomach turn, but I have duties to perform." "I enjoy my job and I am proud to be keeping the airport and the sky safe and terror free, but please get off my case about 'touching your junk'. I would rather not be handling your goodies, but I have a job to do and I will do it to the best of my ability." Thanks BL for your email. I am sure that many people out there have not considered the TSA worker's side of this story. These people do a tough job under some of the highest levels of scrutiny and post 9/11 they have kept airborne terror incidents to a minimum. Why would anybody choose to pat down over 1,000 penises daily? To keep air travellers safe, that's why. TSA, I stand up and applaud your efforts and will proudly let you check my baggage after I have checked my baggage.